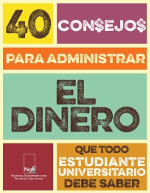 Several NEFE programs expanded their Spanish-language offerings in 2016. CashCourse (www.cashcourse.org) translated five coursework modules; Smart About Money (www.smartaboutmoney.org) launched a revision of 40 Money Management Tips Every College Student Should Know (40 Consejos Para Administrar El Dinero); and the High School Financial Planning Program (www.hsfpp.org) now offers its parent letters in Spanish. Cashcourse hit a milestone in October when Allan Hancock College, a community college in Santa Maria, Calif., became the 1,000th active school. CashCourse saw more than 5,000 new registered users each month in August and September, and the program continues to expand its reach. For this year’s My Story essay contest, students were asked to write about their biggest financial goal. The contest awards a grand prize of $1,500 to the winning essay, $750 for second place, and four runner-up prizes of $250 each. Look for the winner to be announced in December. CashCourse also launched a redesigned Budget Wizard in October. The new Budget Wizard is mobile responsive and offers an improved user experience, including guidelines for creating a successful budget as a college student. Students can access the Budget Wizard by creating an account at www.cashcourse.org. NEFE sponsored several events at the 2016 FinCon Financial Bloggers Conference in San Diego in September, including a day of service benefitting Monarch School, a K-12 school for students impacted by homelessness. FinCon attendees helped to fill 200 backpacks with personal care products and handwritten notes of encouragement for Monarch students. FinCon bloggers also recorded video testimonials at the NEFE booth using the Twitter hashtag #ReelTalkFinCon. Check out the NEFE Twitter account @NEFE_ORG to see the videos. In October, NEFE co-produced the fourth annual Personal Finance Reporting Workshop in New York City, in partnership with the Society of American Business Editors and Writers (SABEW). This year’s event featured MSNBC anchor Ali Velshi; Dan Kadlec, author and journalist with Time and Money magazines; and experts from USA Today, the Wall Street Journal, Parents magazine, CNBC, MarketWatch, and others. Two NEFE-funded research projects produced executive summaries in 2016. George Washington University analyzed financial capability among young adults, including the effects of demographics, income shocks and financial literacy on financial decision making. The University of Alabama-Birmingham explored the cognitive challenges that come with aging, including warning signs to watch for in one’s self and in family members that could indicate difficulty managing finances. These summaries are available at www.nefe.org/research. NEFE partnered with Parents magazine on a comprehensive survey and four-page spread for the October issue focusing on the financial challenges Millennial-age parents are experiencing with the costs of raising children (www.parents.com/familyfinances). 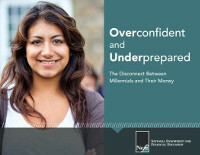 As part of NEFE’s ongoing contributions to the Wall Street Journal’s “Experts” blog, NEFE President and CEO Ted Beck wrote accompanying posts titled “The Financial Overconfidence that Threatens Millennials” and “The Traditional Housing Math Doesn’t Work for Millennials.” See the WSJ blog archives at http://blogs.wsj.com/experts/tag/ted-beck.